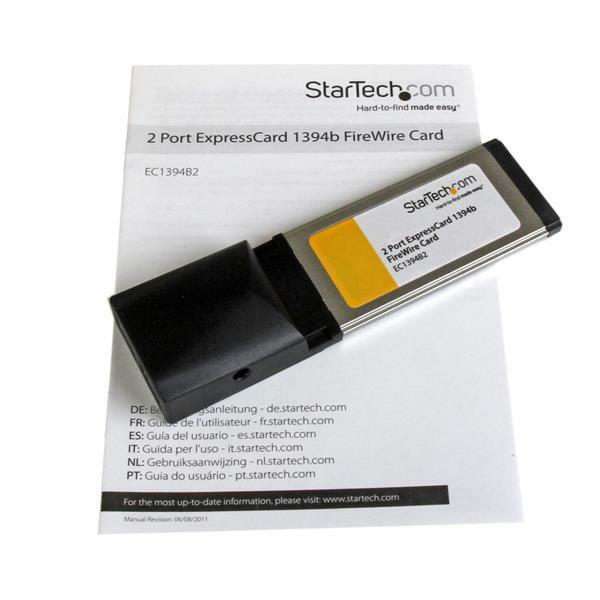 This 2 Port ExpressCard FireWire Adapter Card adds two 1394b FireWire ports to a laptop computer, providing a cost-effective way to add IEEE 1394A and IEEE 1394B FireWire devices even if the laptop doesn’t have a built-in FireWire 400 or FireWire 800 port. 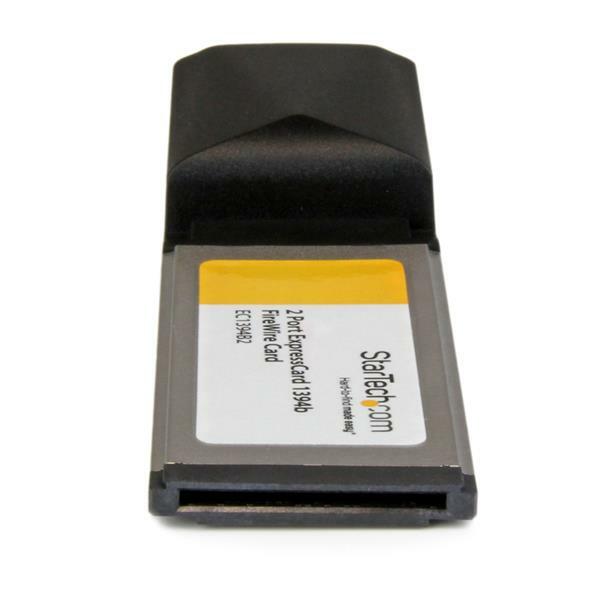 Simply insert the IEEE 1394B FireWire 800 card (EC1394B2) into an ExpressCard slot, and you’ll be able to connect a broad range of FireWire devices to your laptop, while relying on data transfer speeds of up to 800Mbps. 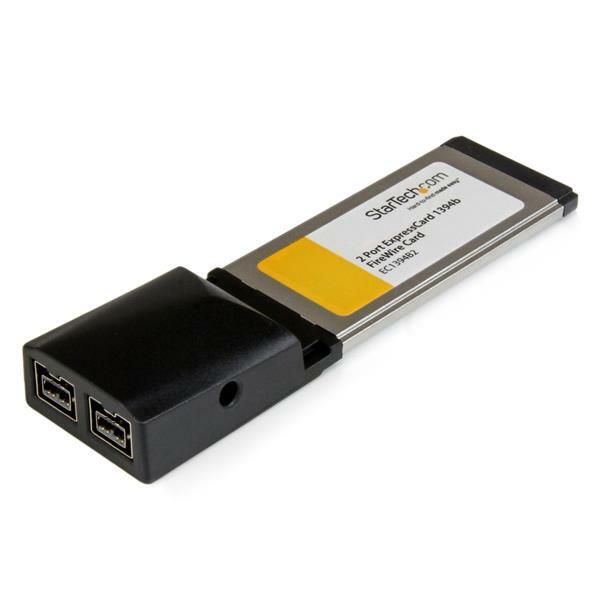 Plus, the card is backward compatible with 1394a devices, so you can connect both FireWire 400 and 800 devices to the notebook, using the same adapter. 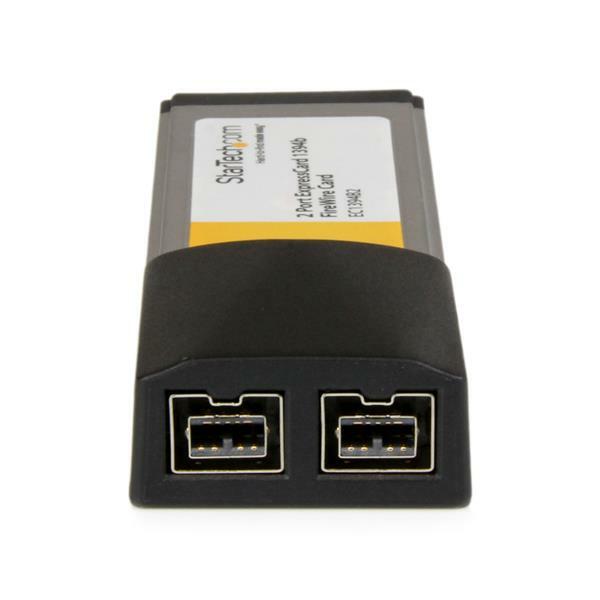 Note Separate power adapter only required if connecting high-powered FireWire device(s) that draw more power than ExpressCard slot can provide.